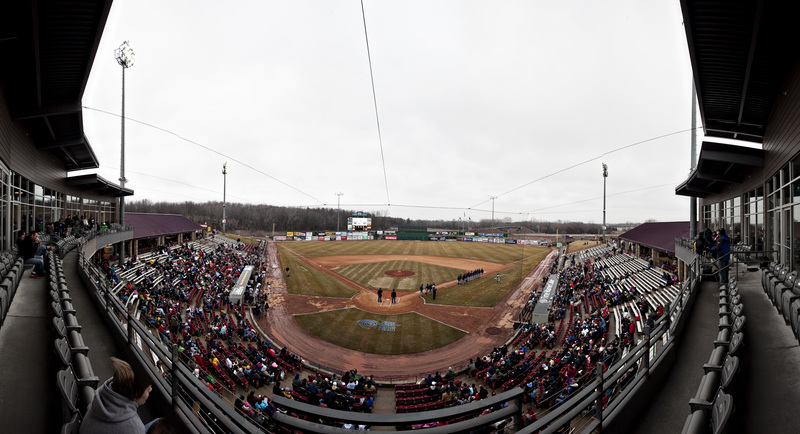 Although it was a cold and rainy day in early April 2013, the formal reveal of the ballpark renovation effort was warmly received by the public. 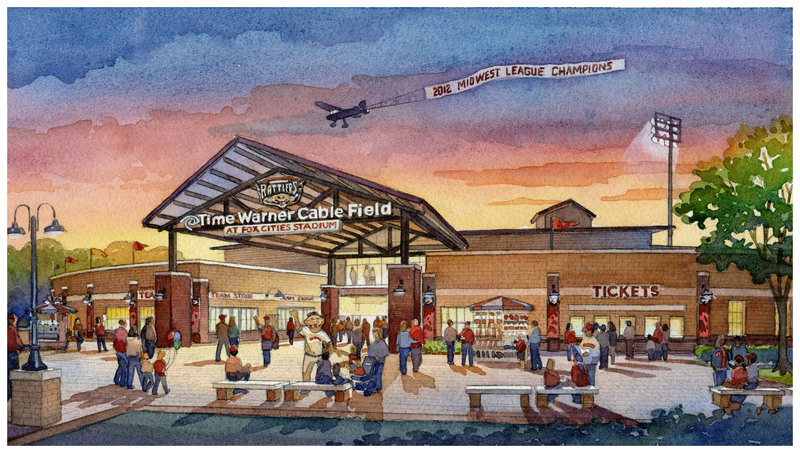 After ten years of talking, sketching, brainstorming, 3D modeling, and tearing through rolls of trace paper, the vision of a new Time Warner Cable Field as seen through the eyes of Team President and General Manager Rob Zerjav was finally realized; and in our opinion it was worth the long wait. 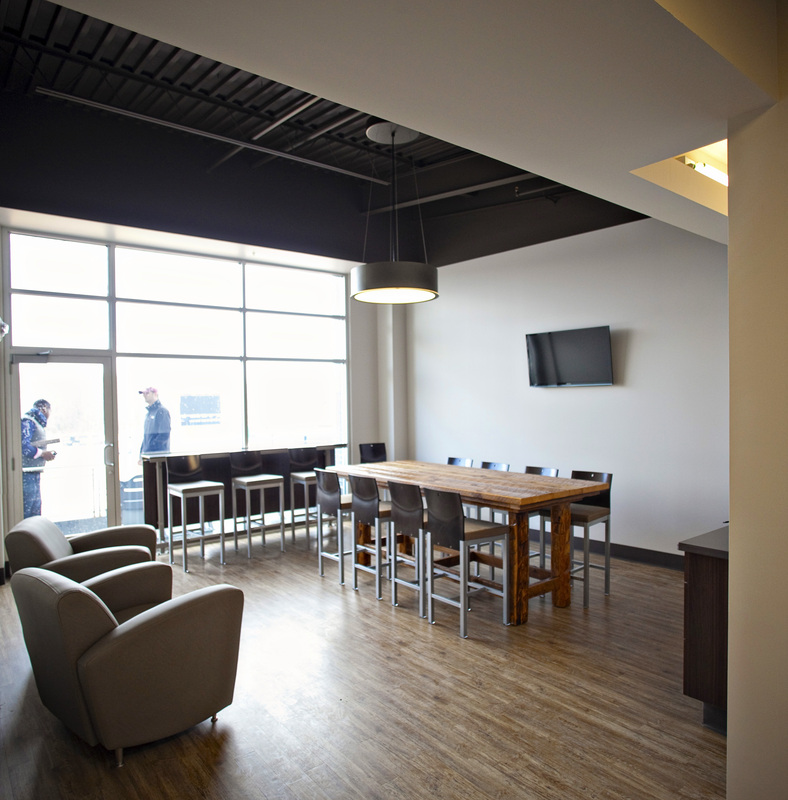 Pendulum Studio was tasked with designing a renovated facility that would not only compete in the current marketplace but also look toward the future and answer the question…”where is the market going?” We believe the answer to that question is different for every market based on a number of complex variables, i.e. size of market, existing amenities and infrastructure, and financing options. 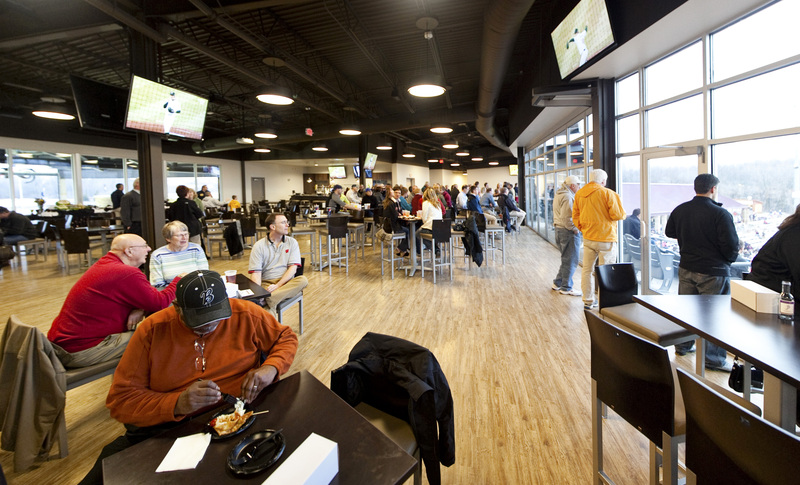 However, at the root of the issue at Time Warner Cable Field was first resolving the basic need to increase fundamental front office infrastructure that included new administrative offices, team store, doubling the capacity of fan toilets and concessions. Stay tuned for final images…once it stops raining and snowing in Wisconsin. 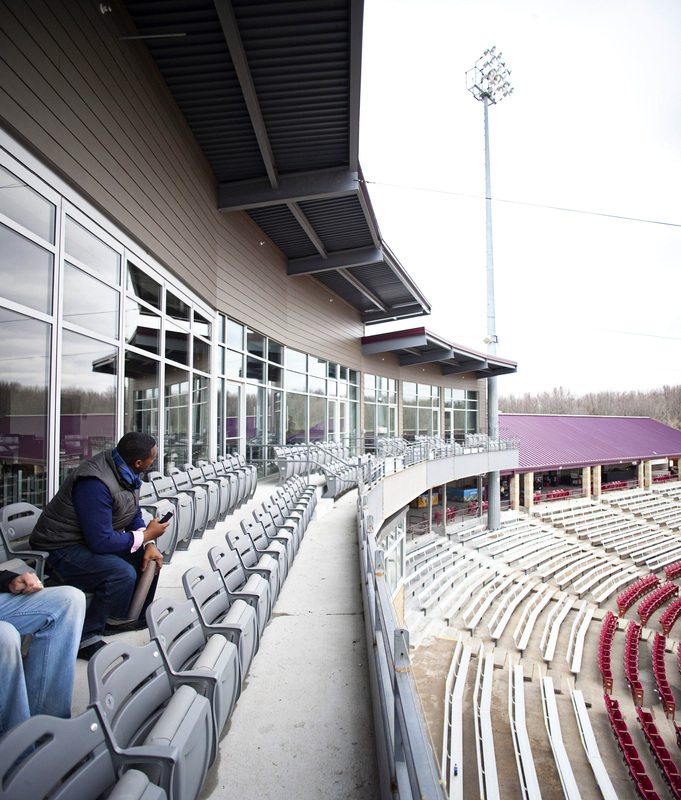 We’ll be posting a complete walking tour of the facilities last spring/early summer.